Peach was born in Toronto, Canada, but both his parents were from Nottinghamshire and the family returned to its Midlands roots when he was three years old, settling in Oadby. He was educated at Wyggeston Boys Grammar School, Leicester, and then Oakham School. After a brief period working as an estate agent with his father he set up as a bookseller at 37 Belvoir Street, Leicester, specialising in manuscripts and early printed books. His love of literature and appreciation of good quality printing and design lasting throughout his life. (His hand can be seen in the excellent design, typesetting and paper of the volumes of the Lit. and Phil. Transactions produced by him between 1911 and 1922 as the Society’s Editor. He and his first wife, Marina – known as May – were involved in politics and social reform and both were early members of the Independent Labour Party. May Peach was a committed suffragette and campaigner for improved health care for working class women, while Peach was involved in organising an exhibition on the sweated trades during Ramsey McDonald’s 1906 election campaign in Leicester, illustrating the grim conditions of work through actual demonstrations as well as photographs and factual information. May Peach died in 1913; Peach, who had five children, remarried in 1915 to Mabel Walton. 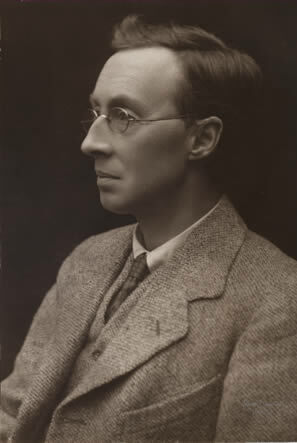 Benjamin J. Fletcher, Principal of Leicester School of Art (who was President of the Lit. and Phil. immediately before Peach in 1919-20), became a close friend and introduced Peach to the writings and work of William Morris and William Lethaby and of the wider Arts and Crafts Movement. When Peach was forced to give up bookselling in 1906 because of his deteriorating eyesight it was Fletcher who worked with him to establish the first Dryad enterprise – cane furniture –still a novelty in early 20th century Britain. Dryad Furniture was set up in 1907 in Belvoir Street, Leicester, with Peach as the Proprietor and Fletcher as Chief Designer. Rapid progress was made on all fronts: by the end of the first year thirty original designs were already in production. By 1911 the original four production workers had grown to a workforce of fifty and the following year production moved to large new premises in St. Nicholas Street, Leicester, while both domestic and international sales continued to grow rapidly. In 1912 Peach and Fletcher established a further enterprise: Dryad Metal Works to produce and market a wide range of metal fittings and accessories for the building trade and household in copper, brass and wrought iron mostly in a range of distinctive original Arts and Crafts and other designs. During World War I Peach was very active in developing and promoting the use of craft work as part of occupational therapy rehabilitation programmes for wounded and disabled ex-servicemen, particularly in the temporary military hospital occupying the former County Lunatic Asylum building on Victoria Park (now the Fielding Johnson Building of Leicester University), and to which he donated large quantities offcuts of cane for use in the patients’ craft work. By 1918 Peach could see that there was an ever-growing demand for cane and other craft materials for use in schools and by amateurs as well as in occupational therapy, and so set up Dryad Handicrafts to supply such material. He was convinced of the important of craft work in education, but was concerned about the standards then prevailing. Through Dryad Handicrafts he developed a very wide range of resources including many hundreds of leaflets and books, patterns, cards and charts available my main order, supported by demonstrations and classes by company staff for schools ,colleges, Women’s Institutes and other voluntary organisations. He also quickly built up a large collection of examples of both historic and modern good design which was displayed in the company’s showrooms (and was eventually donated to the Leicester Museums in 1969). By the time of Peach’s death in 1936 Dryad Handicrafts was the largest supplier of craft materials and the largest publisher of craft publications in the world. He was very influential in promoting high standards of design in industry both nationally and internationally, and especially in relation to everyday goods. He was one of the co-founders of the Design and Industries Association (DIA) in 1915. He also extended his approach to design reform by campaigning on environmental issues, his main focus being Leicestershire but the impact of the work was much wider. Among his other activities, Peach was also involved in founding the University College: he then served on its Board of Governors and was a major benefactor. Among Peach’s many endeavours to improve the quality of life was his campaign for the preservation of the countryside. He was a founder member of the Leicestershire Footpath Society and Secretary from its formation in 1912 to his death over 33 years later, and nationally he was a major supporter and long-term member of the Commons, Open Spaces and Footpaths Society. Through his lectures and pamphlets he promoted a new approach to countryside conservation, using photographed examples of bad against good planning. These ideas were brought together in his influential book The Face of the Land (1930). His indictment of brash advertising, ribbon development, litter pollution and ever growing scrap heaps as products of profit-making objectives, success was eventually achieved in new legislation against ribbon development and laid the basis for the post-war comprehensive Town and Country Planning Act of 1947. This campaign began initially under the auspices of the DIA until Peach founded the Council for the Preservation of Rural England as an umbrella organisation to which local amenity groups could be affiliated. He was particularly concerned with such issues relating to the preservation and conservation of the Leicestershire countryside and the traditions of rural life, and among other things wrote and published A short history of the Leicestershire Footpath Association in 1928. The biennial joint Harry Hardy Peach Lecture with the University has since then been, and remains, a special highlight of the Literary and Philosophical Society’s lecture programme. Presidential Address: Peach gave a “President’s Address” at the first Lit. and Phil. meeting of his Presidency on 4th October 1920, but this was not published. Archives: Royal Institute of British Architects (on planning issues etc. ), National Archives of Art and Design, Victoria and Albert Museum.